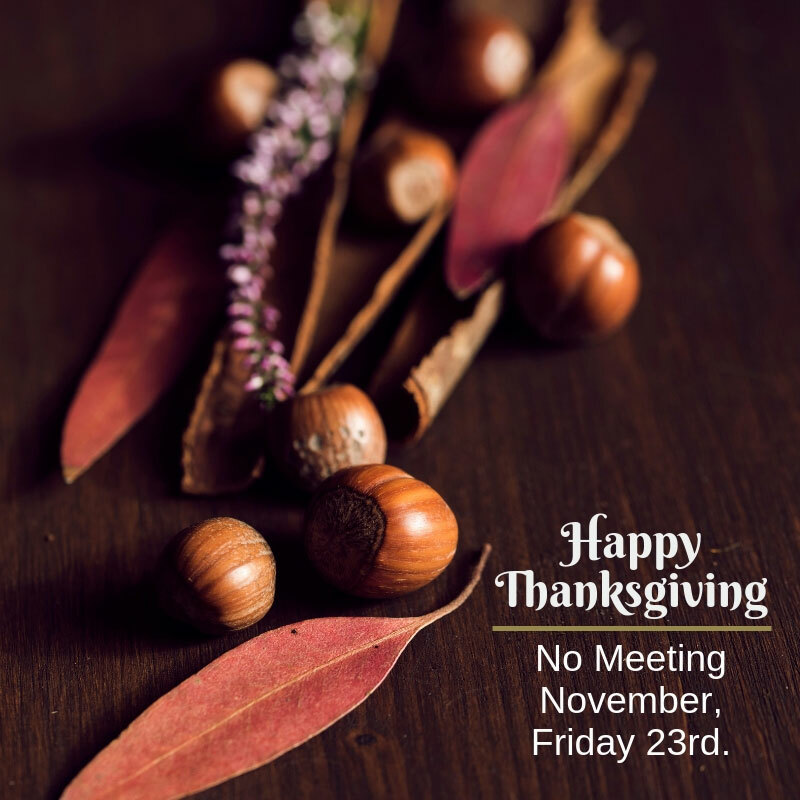 We will not be meeting this Friday. Our next meeting will be November, 30th. Enjoy your holiday!